November | 2009 | My name is Kervie and I'm not here to make sense. Great TV Shows that should make a comeback. I don’t watch much tv anymore. But if I did, it would be watching cartoons with my daughter or following WVU sports (they’d been breaking my heart as of late). But when I was younger, these shows were great. Entertaining, funny and worthwhile. 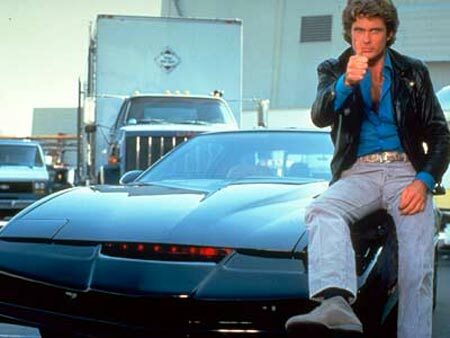 Some were re-made – like Knight Rider, which was a disaster (nice try NBC). Is there a petition of some sort where we can bring these shows back? If anyone knows, let me know. 1. The X-Files – a must watch every Sunday in the dorm room with my roomate. I believe our next door neighbor is still an alien. The shape of his head was freaky. 2. The Fresh Prince of Bel-Air – By far the funniest show I’ve ever watched on tv. Carlton rules. Nobody can get enough of the dancing. 3. Seinfeld – Never has a show made something random and irrelevant so hilarious. 4. Old School Nickelodeon Shows – You Can’t Do That On Television was my favorite. The sliming was great! 5. Unsolved Mysteries – Robert Stack’s voice is so creepy yet awesome. 6. MacGyver – If I were not a designer, being like MacGyver would be my next choice as a profession. Did you know his first name on the show is Angus? What? 7. The A-Team – How can you not tune in to a show that blow up stuff and has Mr. T in it? A new movie in the works too. 8. Knight Rider – A talking car in the 80’s was crazy!!! That’s why I liked it. Bring back the Hoff and give him the same Trans Am. 10. Miami Vice – Great action show with guns, fancy cars and mis-matched suits. No wonder my dad got me watching it.